From so many days, while going home from office I am noticing the biggest pain of small small kids just begging for the money to have some food to eat. Don’t you ever felt why it is happening and it should be really stopped. Attention Everybody! Don’t just avoid all this stupidity, take some action against this. Why the child labour is increasing day by day. Why it is needed for the children who should carry the books in their ages. Each and every child is precious and have right to spend their childhood in the way they like. It’s the age of playing and having the fun. They should be aware of importance of education and learning the new innovative things and not the heavy loads and pressures of doing labour in just a small age. After completing the research about the child labour, I come to know that there are 168 million children working worldwide and that was really shocking to know. No age matters doing the heavy and risky works even by small kids, Survey found that 59% of childrens works in agriculture, 32% in the service sector, 72% in heavy industry. The most heart touching thing is 22.000 child labourers get into the accidents every year. 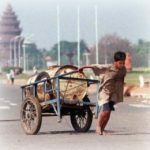 After analyzing I’ve listed some important reasons of child labour in this article. This is the first and foremost serious issue due to which children are going that way instead of thinking about the future and career goal. The problems of poverty are being increasing day by day because of low parental income, children are forced to work in such a small ages and to take the heavy responsibilities in earning so that to help surviving their families. Also the most of the children’s are working secretly just to support their families and show their over maturity. But it is also true that we can’t actually blame to the poor families for child labour. No Parents like their children to work in small ages. Dreams of every Parents are high towards their children, but they are helpless if some problems occurs and unfortunately they take the toughest decisions to make their children’s work. So, here we can blame the country’s economic condition and government actions strongly. Overpopulation is also the major problem in countries as it leads to unemployment which in turn gives rise to poverty and thus it again create child worker. Overpopulation is due to the lack of facilities in the village areas, educated people finds more difficult to survive over there and hence they decide to migrate from rural to urban areas in search of better accommodations and job opportunities for a better future growth. To avoid the problems of overpopulation the country should have the enough resources and job opportunities to feed the mouth of all then poverty issue should not bear any importance. But if not, then again the source of labour like children can be employed in different forms of work. Illiteracy is RAMPANT. People are out of communication. Thus in the same way the illiteracy problems become serious when uneducated parent never realises the harmful effect of child labour. As they itself are not aware of the importance of education, they develop false belief and send their children to work as early as possible. Nearly 70% of the children does unpaid work supporting their family. Priorities to primary education should be given. It is very necessary that the children’s should learn all the basics and importance of education in their childhood only instead of going for the wrong side.Parents should really take care about this as the future of their children depends upon it. Government should take the strict action against the heavy and illegal child labour like working in heavy industries or children’s playing with dangerous substances and commercial sexual exploitation. For this purpose only children’s should send to schools to understand the things and to learn about the causes, effects and solutions to overcome it. Child labour and hunger is one of the principal social illnesses in country that help children and families survive in crises, such as disease, or loss of home and shelter. Child labour is a very serious problem. Politicians should make laws to prevent child labour and find solutions. Children are our future and we have to take care of them if we want a better future. June 12th is the special day against the child labour. People should take some of the initiatives to increase the awareness on this day at least to serve as a catalyst for growing the worldwide movement against child labour. It is the responsibility of each and every human being to at least feel the pain of that small kids who are just not aware of child labour and are becoming the victim. Build homes for those children that are living in the streets. In this way we can help prevent children from any abuse that they can suffer in the streets. Speak loudly and use social media to get your message across. It is very difficult to reach out your messages to the public. That’s why the power of social medias are being used nowadays with the increasing technology and we should use this tactics to share our thoughts and knowledge. There are various social medias like Facebook, Twitter etc with which you can share your opinions, ideas to make the changes. Come together and reach to millions of people.